Blockchain technology has risen up to the surface, not as a panacea but as the medium to connect diverse “values” in a novel way, ultimately creating new “values”. For its pragmatic usage towards a better view of society and creation of social values, it is inevitable that we reflect on the “values” and what we need to pursue with Blockchain through constant dialogue and social experiment of Blockchain technology. 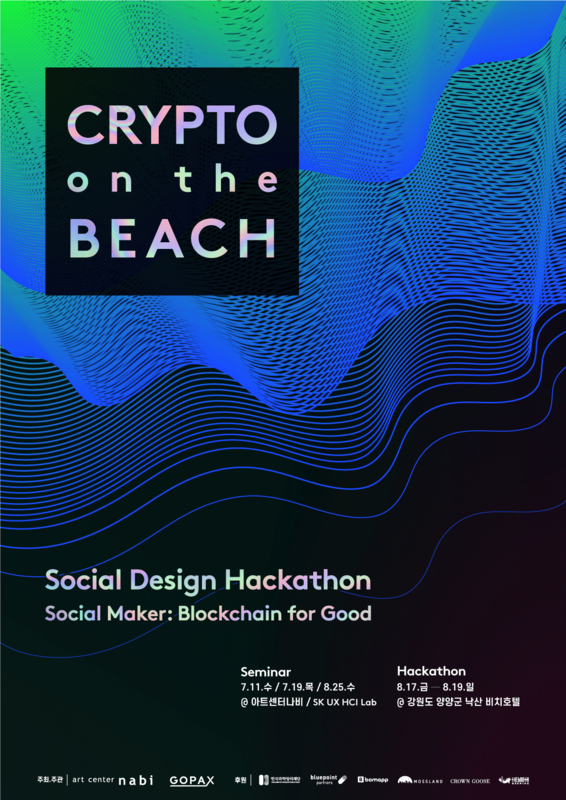 At Social Design Hackathon Crypto on the Beach, a three-day hackathon after a month of seminars and workshops, we plan to look into multifarious socio-cultural issues in which Blockchain technology could be implemented and suggest viable prototypes. Software developers, engineers, designers, artist, architects, makers, social entrepreneurs and many professionals working across different fields will gather to explore the practical applicability of Blockchain, further questioning whether Blockchain could bring out Redefinition, Redistribution and Reclaiming of “Value”. Crypto on the Beach, is a project to seek out a new type of culture that would lead the society via an experimental combination between IT and Surfing, which has now been settled as an alternative culture. 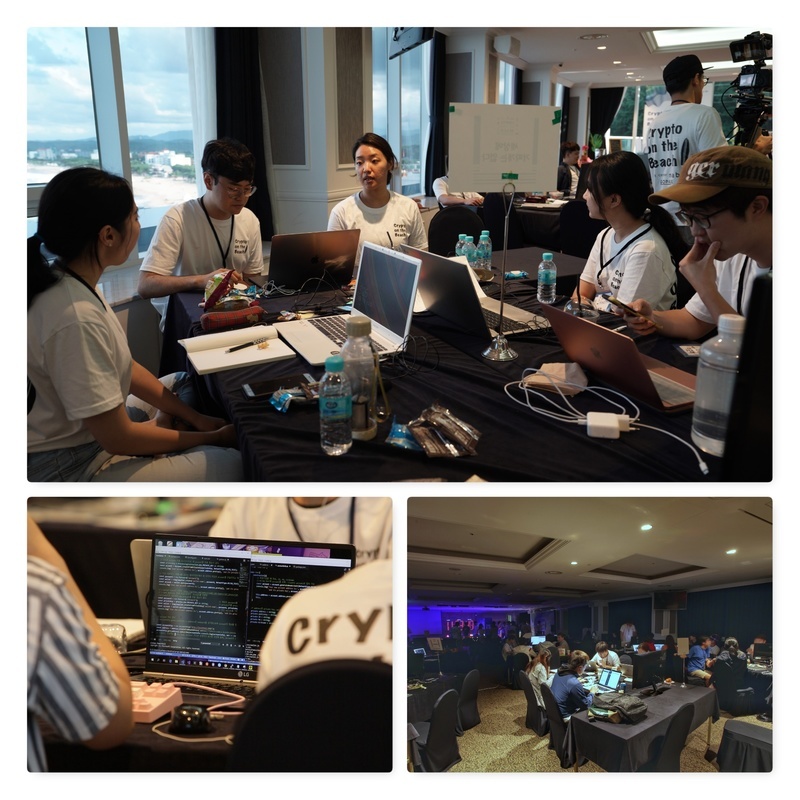 With various professionals interested in Blockchain technology, Crypto on the Beach aims to be at the intersection of IT and culture, exploring new “values” Blockchain would bring and supporting an active dialogue between the technology and culture, further generating social innovation. Songyi currently serves as Chief Strategy Officer of Metadium, a next-generation identity protocol powered by blockchain. As an early adapting entrepreneur with passion for social impact and innovation, Songyi is a strong advocate of the use of blockchain to disrupt the status quo. Prior to Metadium, Songyi had co-founded 37coins, a Silicon Valley startup empowering the world’s unbanked population by providing access to Bitcoin through a decentralized SMS network. She is also a founder of Zentrepreneurs, a mindfulness education for entrepreneurs and businesses to increase productivity and quality of life through modern consciousness training. Founder of Imagga - image AI startup. He moved to Korea 2 years ago to expand his company operations in Asia. Chris can help anything related to business model, global marketing outreach with low budget, bullet proofing your pitch deck. Chris loves languages (studying Korean now), to fly his Mavic Pro (so few places in Korea allow it) and learn from people. 6. Ignis "Ethershare: Donate transparently"
7. 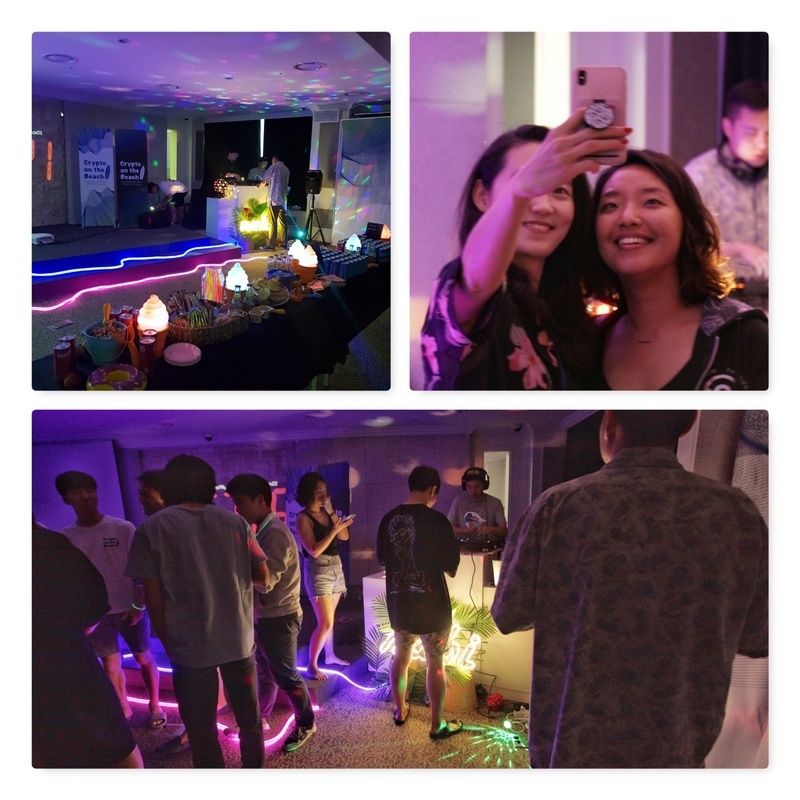 Butterfly Effect: "Line Up: Social Matching Service on Blockchain"
9. SHAROS "Better ICO: Above the Vitalik's DAICO"